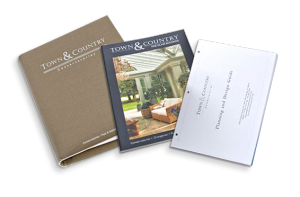 Explore multiple elements of the design process and additional product information for adding architecturally stunning compliments that look authentic to your home with our extensive 64-page Planning and Design Guide. Simply fill out this form, and we will ship your binder to your doorstep, or view our digital brochure for free. I have a question about your conservatories or process.